First day of Spring is March 20th and with that, we have so many things to look forward to on Martha’s Vineyard. Spring is the season when we all smile and take in the sun’s rays, warm for the first time in months. When we are hustling and bustling around town, getting our homes and businesses ready for the busy season. When we see friends and neighbors we haven’t seen through the winter and greet them with cheer. Overall, the feeling of happiness and joy can be felt all around the island as the bright yellow forsythia blooms and permeates the air with its sweet scent. Without further ado, here are the top spring happenings on Martha’s Vineyard that will get you even more excited for the season! Stargazing Evening hosted by Sheriff’s Meadow Foundation . Join them at Wallen, Preston & Shands Preserve in Aquinnah on March 20 at 7:30 pm to celebrate the first night of spring with an evening of guided stargazing led by Mark Lovewell. Meet at the Aquinnah Cultural Center. Edgartown’s Pink and Green Weekend, this is Edgartown’s 8th Annual Celebration of Spring & Mother’s Day that takes place May 10-12, 2019. Kick off spring in Edgartown during the annual celebration of the season and Mother’s Day on Martha’s Vineyard. Enjoy the Pink & Green Dog Show, sales and shopping specials, Fairyville at Donaroma’s, the Pink & Green 5K and more! 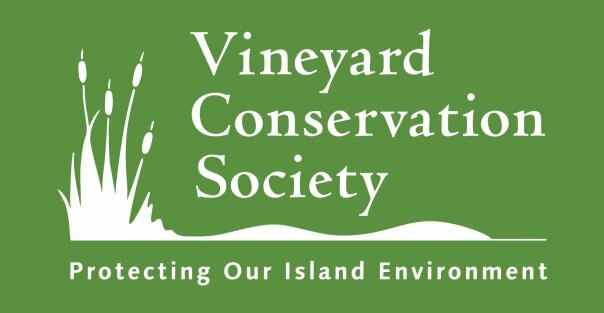 Vineyard Conservation Society’s Earth Day Beach Cleanup, Protect Wildlife, Beautify Your Island, Celebrate Earth Day, and Kick-Off Spring on April 20th — All in One Great Family-Friendly Event. It's easy to go green this Earth Day: join your friends and neighbors in the Earth Day Beach Clean-Up! Just head out to your favorite beach at 10:00 am volunteers will be there with everything you need. Afterward, join VCS at the Oak Bluffs Sailing Camp for great food, a free raffle, and to compare your treasure hunting stories. From 12:00 to 2 pm relax over lunch with other beach cleaners. This year we are making sure there is enough food for even the late-comers. No hardworking beach-cleaner should go without some refreshments! This is a ZERO WASTE event, if you have a reusable water bottle, please bring it with you! Spectrum Film Festival, The Martha’s Vineyard Film Society hosts this festival and it will be the 3rd Annual Spectrum Film Festival. Spectrum is a four-day film festival that presents a world perspective on LGBTQ+ stories, people, and issues through a variety of films and includes guest speakers, discussions, and a special event for LGBTQ+ youth. The 2019 SPECTRUM Film Festival will be held at the Martha’s Vineyard Film Center in Vineyard Haven from Thursday, April 25th, 2018 through Sunday, April 28th, 2019. ​Ride the Vineyard MS Cycle Race, on May 4th, is a Multiple Sclerosis fundraiser on Martha’s Vineyard, Massachusetts. With the quaint charm and beautiful ocean views of our island, choose from 15, 30, and 60 mile routes and enjoy the cliffs of Gay Head, the beaches of Katama, and the scenic views of East Chop! Big Chili Contest, this will be the 33rd year of this amazing charity event and will take place on May 11th at the Portuguese American Club. Enjoy a day of chili, live music & good times in the name of charity. Local and off island restaurants, chefs, caterers, and more cook up giant pots of chili for your delight and the live music from bands and DJs keep the fun going! ​Easter Brunches and egg hunts take place all over the island, check out our social media platforms for updates closer to the date (April 21st). Designed by golf architects Wayne Stiles and John Van Kleek, who originally proposed a 27-hole layout, but ultimately was reduced to its current 9-hole design. Rentals are available and the golf club is located in Vineyard Haven. You can apply for membership, but the club is also open to non-members with certain stipulations. Located in Oak Bluffs, Farm Neck Golf Club has continually earned a 4 ½ out of 5 star rating in Golf Digest's “Best Places to Play,” and is considered by many to be one of the premiere golfing experiences in the Northeast — and beyond. Designed in 1979 by Geffrey Cornish, Bill Robinson, and Patrick Mulligan, this 18-hole course is sure to delight any golfer. If you can’t ship your golf clubs, you can rent Callaway Clubs (prices range between $45-65 depending on tee time). A toss between private and public, you can become a member for $600 but you may also play without purchasing a membership or making advance arrangements (although we recommend making arrangements as you don’t want to make it all the way to Chappy and not be able to play. The weekday rate is of $50 per person ($25 for kids) and the weekend rate is of $75. The course history dates back to over a century ago and For the past 30 years, Brad Woodger has tried to maintain and perpetuate the Links while maintaining its unique character and integrity. Golfing at RACL is an outing all on its own, and they are available for events and private parties. Vineyard Golf Club opened in 2002 and was the first new golf course built on island in 30 years. Just two miles outside of historic Edgartown and close to the rural village of West Tisbury, the course is private and one of the few organic golf courses in America. Designed by British architects Donald Steel and Tom Mackenzie, the course has replaced traditional pesticides with bio-stimulants and composted fertilizers that help protect the island’s single-source aquifer, per Links Magazine. The Edgartown Golf Club, was founded in 1926 and is a private golf club located in Edgartown. “Known for breathtaking views of the Vineyard Sound and its historic and charming clubhouse, the Edgartown Golf Club is open to its members and their guests year round, weather permitting.” During the summer season it hosts a junior golf program as well as many annual benefit golf tournaments that are open to all. St. Patrick’s Day observes the death of Saint Patrick, the patron saint of Ireland, so how did this commemoration of a saint’s death evolve into a celebration of Irish culture, delicious foods, fun music and dancing, drinking to your heart’s content, and everything became green? We’re here to tell you - and also list off a few ways we love to celebrate St. Patrick’s Day on Martha’s Vineyard. Celebrated annually on March 17th, it falls during the Christian season of Lent. Irish families would traditionally attending church in the morning and celebrate the holiday in the afternoon. It’s interesting to note that Lent prohibitions included consumption of meat, but during St. Patrick’s Day, these were waived and people would dance, drink, and feast on traditional meals of corned beef, sausages, and more! Parades have become a staple of the holiday, but the first St. Patrick’s Day parade was not held in Ireland, but in New York City, NY. On March 17, 1762, Irish soldiers serving in the English military marched through the city playing traditional Irish music, helping them reconnect with their Irish roots. Corned beef and cabbage is a traditional dish. In 2009, roughly 26.1 billion pounds of beef and 2.3 billion pounds of cabbage were made in the US. More than 100 St. Patrick’s Day parades are held across the United States. New York and Boston are home to the largest celebrations. At The Newes from America Pub, there’s a full weekend of fun! Friday night there will be live music, Celtic dancers, and Fisherman’s Stew is the dinner special; Saturday is the ever so popular “Pint Sized Parade” at 11am, continuing with Celtic dancers, bagpipers, and live Irish music. You can feast on Corned Beef & Cabbage during lunch and dinner both Saturday and Sunday! ​At Offshore Ale Company on Sunday the 17th, there will be a St. Patrick’s Day Celebration with music and delicious eats. At the Aquinnah Library on Saturday the 16th at 11am, there is a Kid’s Craft to create a lucky clover with your hand print! At the Portuguese American Club in Oak Bluffs, there’s a Spring Fling on Saturday March 16th from 6pm until 11:30pm, described as a Fabulously Fun St. Patrick’s Day weekend event featuring Jellybone Rivers and the Maniacs of the Heart along with the Space Invaders. Opportunity to bid on tons of great silent auction items. All to benefit the MV Public Charter School. $15 per person, use the hashtag #CharterSpringFling on social media! For a full list of all happenings, visit mvy.com/events. As the thin layer of white topping Martha's Vineyard's clay cliffs slowly disappears under the early spring light the island emerges from winter with a variety of events for both locals and visitors. Newly painted storefronts and a bustling energy across the island are a sure sign that Spring is upon the Island. Welcomed are a number of new businesses as well as our long-time favorites, some sporting an entirely different look. From Aquinnah to Edgartown, there is no shortage of Spring happenings and many of our inns offer special rates, making this a perfect time for an Island getaway. ​Here's a sampling of some great events happening this spring on Martha's Vineyard! A singular meet and mingle with filmmakers, actors and movie-lovers. Tis the season for these photogenic and people-loving alpaca. An open house for island artists and artisans featuring food and music- free and open to all. This island-wide bike ride is one of the largest fund-raising events of the year, attracting a world-wide group of bikers and their families. Enjoy the spring beauty of Martha's Vineyard's while cheering on or perhaps even joining this dedicated group of bikers. Kentucky Derby parties, a Main Street parade, an open house for retailers and an old-fashioned maypole dance are some of the highlights of this annual tradition that glows in a sea of pink and green. Take the chill off and vote for your favorite dish of chili while enjoying music from island locals. ​We all know JAWS was filmed on Martha’s Vineyard right? That’s a big one, and one that will surely never be forgotten (JAWS 2 and JAWS: The Revenge were also filmed here too). To this day you’re hard pressed to visit Martha’s Vineyard without being confronted with JAWS merchandise, or offered a JAWS tour where you can visit locations where the movie was filmed. We even have a bridge names after the movie. JAWS is an inherent part of our culture and what put us on the map so to speak. In 1975, JAWS became the original summer blockbuster and visitors soon began flocking to the real life Amity island. While JAWS dominates much of the cinematic fanfare synonymous with our island there are several other movies that have been filmed here over the years, as well as movies that have been set here but filmed elsewhere. For those movie lovers and Martha’s Vineyard lovers out there here’s a round up of some of Hollywood’s other film with Vineyard ties that will make you nostalgic for Martha’s Vineyard again and again. So settle in and plan a movie marathon to the theme of Martha’s Vineyard. Director John Curran revisits what happened on the Dike Bridge on Chappaquiddick the night that Sen. Ted Kennedy drove his car off the bridge in a late night accident that killed a young woman, Mary Jo Kopechne in 1969. The film follows the investigation, media maelstrom, and Kennedy family crisis that followed. Most of the movie was filmed elsewhere in coastal Massachusetts, but some filming took place on the Vineyard, including on Chappaquiddick and at the Chappy ferry, made to look as it did in 1969. This independent film is a is a horror-laced thriller that tells the story of a woman who takes refuge on Martha’s Vineyard during the off-season, after her husband is convicted of a financial fraud. She befriends a 10-year-old girl through whom she discovers a dark and murderous past. The film was shot on Martha’s Vineyard in April of 2013, primarily at Flat Point Farm and Nip ’n’ Tuck Farm in West Tisbury. Several local Islanders appear in the film, including the actor that plays the 10-year old girl. Director and seasonal Vineyard resident Spike Lee, chose the island as the setting for his 2014 love story, one that centers on an addiction to blood that once doomed a long forgotten ancient African tribe. Much of the movie takes place on the Vineyard — although, aside from a few shots outside the Martha’s Vineyard Airport, the Island scenes are limited to one remote beach house and its surroundings. A marketing executive at an electric-car start-up company played by played by seasonal resident Larry David, quits after an argument with his boss, played by Jon Hamm. He is subsequently crushed when the company hits the big time, so he tries to reinvent his life under a different name in the peace and quiet of Martha's Vineyard. Other than some scenic and aerial shots no parts of the movie were filmed on the Vineyard. This comedic drama from director Salim Akil brings two very different families together on Martha’s Vineyard one weekend for a wedding. Scenes shot aboard the ferry, and several scenic shots of the Vineyard were filmed on location while much of it was filmed in Blue Rocks, Nova Scotia as a stand in for the Island. Starring Paula Patton, Laz Alonso, and Angela Bassett. Roman Polanski directed this political thriller about a ghost writer, hired to complete the memoirs of a former British Prime Minister, who is in hiding on Martha’s Vineyard. He uncovers secrets that put his own life in jeopardy. While much of it was filmed off-Island, including Cape Cod, scenes of the writer in the BMW most closely resemble Martha’s Vineyard. Starring Ewan McGregor, Pierce Brosnan, and Olivia Williams. This slapstick comedy from filmmaker brothers and seasonal residents Bobby and Peter Farrelly brings Matt Damon and Greg Kinnear together, literally as conjoined twins from Martha’s Vineyard. The duo moves to Los Angeles so Greg Kinnear’s character can pursue an acting career. Other parts of coastal Massachusetts were filmed to portray Martha’s Vineyard, with some isolated shots of our local harbors and other scenic island shots were used. A 90s remake of a 1954 original, Sabrina, with Harrison Ford and Julia Ormond, is a love story with a twist and was filmed in Chilmark and Vineyard Haven on Martha’s Vineyard. The cottage used in the film once allegedly belonged to Billy Joel and overlooks Chilmark Harbor. This romantic drama from director James Ivory is about a Boston feminist and a conservative Southern lawyer contend for the heart and mind of a beautiful and bright girl unsure of her future. Set in 1875, Martha’s Vineyard is one of several locations the film was photographed at. Starring Christopher Reeve, Vanessa Redgrave, Jessica Tandy. We all know one of the challenges of winter is maintaining a healthy lifestyle throughout the colder, darker months. It can be easy to rush home and fall victim to more sedentary activities as soon as the sun goes down, when five o’clock feels like none o’clock. Despite our slower winters, Martha’s Vineyard is still packed with dozens of winter workout options to keep you staying active and fit. It’s just up to you to get there and make that movement happen. Whether you prefer high intensity workouts or more meditative ones take a class with one of our local fitness gurus or challenge yourself to some action on your own. Swimming is a fantastic winter activity, not to mention it reminds us of summer. Not only does swimming raise your heart rate but it’s a low impact exercise, that works your whole body–helping you to build endurance, muscle and cardiovascular fitness. Both the Mansion House Health Club and the YMCA in Vineyard Haven often pools and classes for a good workout or some welcomed water therapy. If winter sports are more your thing check out the Martha’s Vineyard Ice Arena, which recently underwent renovations and has reopened with a fresh new look. Ice skating can offer you a great cardio exercise, disguised as a fun way to stay fit. It improves your balance and joint flexibility and is a great form of stress relief. The weather outside may get frightful but the ice inside can be so delightful! Do you pack a punch? Try your skills at boxing on Martha’s Vineyard. Instructor Charlie Giordano offers boxing classes for participants of all levels at Yoga on the Vine in Edgartown. Boxing allows you to better manage your breathing while exercising all your major muscle groups. Have fun working on your boxing skills while getting stronger, fitter, and more confident. Want to keep things interesting? Try CrossFit. This constantly varied, high-intensity workout has grown increasingly popular over the last several years and here on Martha’s Vineyard is no different. Our island is home to one CrossFit gym, aptly named CrossFit Martha’s Vineyard, and it’s loyal members and visitors rave about its efficacy, and its community. Plus the lingo alone is enough to intrigue curious minds, up for a burpee? Whether you’re new to it or a seasoned crossfitter give it a try, your body and soul will thank you. If something more meditative is more your speed you’ve come to the right island. Martha’s Vineyard is home to dozens of yoga studios offering every kind of form or flow for the yogi in you. From vinyasa to kripalu and all types in between, get in position and try a class at on of our health clubs or yoga studios. Namaste! The best part of winter on Martha’s Vineyard is still being able to work out outside! Bundle up and brave the chill and go for a hike or bike ride around our beautiful island. Did you know that walking or running through the snow take more effort, and our bodies have to work harder in general when it’s cold out? The same extra effort required by snow and cold weather that burns up calories also exercises your heart, plus you’ll soak up some vitamin D along the way. Don’t be afraid of the winter weather, embrace it, your body will benefit. ​Here on Martha’s Vineyard, February school vacation takes place the week of Monday, February 25, and the Island rallies to keep local kids entertained throughout. While the perfect storm would allow for them to stay outside sledding down their favorite hills, and frolicking in the soft, white stuff, there’s plenty to do indoors to keep them safe and warm should the need arise. Here’s a round up of some of the kid focused events taking place during Martha’s Vineyard’s public school winter break February 25 through March 1. Many of these locations offer family friendly fun throughout the year so be sure to check their calendars for whenever you plan to be on-Island with your tykes. Each weekday of the February break, head to the West Tisbury Library for family movies in the Community Room and teen movies in the Young Adult Room at 1pm, complete with popcorn served. On Monday, February 25: Minions for families and A House with a Clock in the Walls for teens; on Tuesday, February 26: Kiki’s Delivery Service for families and Smallfoot for teens; on Wednesday, February 27: Charlotte’s Web for families and Love Simon for teens; on Thursday, February 28: Wall-E for families and My Life as a Zucchini for teens; on Friday, March 1: Finding Nemo for families and Isle of Dogs for teens. The Vineyard Haven Public Library also holds afternoon movie times for school aged children throughout vacation week, featuring some of Disney’s finest titles. Monday offers Aladdin, Tuesday Moana, Wednesday an interactive showing of Frozen, Thursday Tangled, and Friday Ralph Breaks the Internet. Take the kids to Felix Neck to learn what animals do during the winter season, and how to identify tracks, scats, and signs of our Island’s active winter species. Enjoy some winter fun and exploration Tuesday through Friday, come for one day or all four. Tuesday: Bird Bonanza, Wednesday: Water Worlds, Thursday: Track-tastic, Friday: Mammal-rama. The Oak Bluffs Library is constantly hosting various fun-filled events for your little one, including drop-in crafts and story times throughout the week. During school break their even offering a free Community Lunch at the library on Thursday, February 28, followed by a family movie. Be sure to check out their website for a full list of events and activities sure to hold your kids attention during school vacation. Many of our other local businesses cater to children throughout the year and would love a visit from your little ones. The Alpaca Farm on Martha’s Vineyard is open daily from 10-4pm this season, and it’s calendar is packed with furry fun farm activities. For a look at their furry friends before you visit you can even check out their alpaca cam here. The Barn, Bowl, and Bistro offers affordable bowling across 10 lanes of of regulation ten-pin bowling with state-of-the-art scoring software. If your child is still getting the hang of it, they’ve got bumpers too, and often offer free bowling for kids. Movies are always a big hit among the kids, and Edgartown’s Entertainment Cinemas is our year round home for the big blockbusters. For the crafty kids, Sense of Wonder and Featherstone Center for the Arts both offer children's’ art classes throughout the week, and can help develop and nurture your child’s artistic talents. Now more than ever, our island has put into action a few initiatives that are all about sustainability, reducing our waste as a community, and overall figuring out ways to protect the environment and our surroundings. 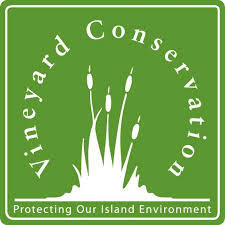 That’s where the Vineyard Conservation Society comes into play, with a team of members and volunteers that are consistently trying to educate and support our island communities with new ventures in the earth friendly world. Below we’re sharing some of those initiatives and ways you can support them - whether you live on island or are visiting for a weekend! The old adage of “reduce, reuse, recycle” has evolved into a more concise message of “refuse, reduce, reuse, recycle”. The need to add the word refuse before everything else is to put a focus on reducing out plastic waste by first of all even refusing to have it come into our lives! Simply saying “for here”, “no straw please”, “I have my own bag, thank you” are ways we can refuse accepting excess waste from coming into our homes and lives, ultimately limiting the amount of plastics and waste going into landfills. In correlation with refusing and reducing plastic way, the easiest way that Islanders have adopted is to bring their own. Bring their own everything, including but not limited to: water bottles, coffee mugs, reusable bags, eating utensils, metal/bamboo straw, and more! Bring your own instantly reduces your waste and allows the message to be shared about how important it is to reduce our consumption of plastics! One great example on island is what Croning’s Market in Vineyard Haven is doing, where they have a great bulk section where you can bring your own jars from home to tare and refill easily! “Two years ago, following on the heels of the campaign to ban single-use plastic checkout bags, VCS began working on what we saw as the obvious next step in waste reduction. When considering all the factors, it was the enormous number of single-serving, disposable plastic water bottles that, after plastic bags, were the next most egregious and unnecessary source of waste. However, the issue of disposable bottles presents a different sort of challenge than disposable bags. Plastic bags could be seamlessly replaced with alternatives that are not only better for the environment, but also better at the core function of a bag: getting your stuff home from the store. We were confident then, that should it pass at Town Meeting, the bag ban would grow to be overwhelmingly popular. Unlike plastic bags, though, much of the public today has a sincere preference for bottled water. The realization that we must decrease the demand for bottled water is the conceptual underpinning of the “Take Back the Tap” initiative. Our research revealed that the factors motivating people to buy bottled water generally fit into two categories: quality and convenience. To address concerns over the taste or cleanliness of tap water, we began educational efforts (such as the “Tap Water Challenge”during Zero Waste Week at Tisbury School). However, it is the second issue — convenience — that may pose the greater challenge. Life moves quickly, even on Martha’s Vineyard, and to keep pace, we have grown to rely on a degree of convenience unimaginable a century ago. So next time you visit Martha’s Vineyard, make sure to see what environmentally friendly initiatives are happening and please support them! Nothing better than waking up on a snowy winter morning on Martha’s Vineyard and heading out to grab a warm, hearty breakfast. It’s the best way to start a winter day and we’ve tapped into local knowledge to showcase the best breakfast dishes on island! (Note: We’re also linking to the restaurant’s Facebook pages so you can stay up to date with their latest specials and schedules during the winter!) There are plenty of delicious restaurants still open on Martha’s Vineyard during the winter, so you’re bound to have a delicious meal in any town! What to Order: Breakfast Sandwich (On your choice of an English muffin or a house made biscuit. Add spinach, tomato, red onion, bacon, house made sausage, local egg. If you’re looking for a low-key and relaxed New Year’s Eve, yet want to have fun with friends, we have put together a complete list of what to do on New Year’s Eve on Martha’s Vineyard. Spending New Year’s on the island is such a lovely time, when businesses focus all their energy on the family and friends that visit. Plus, nothing better than starting the year on MV - January 1st on island just means you’ll be here even more throughout the year! Wondering where to stay? You can definitely rent a winter rental with one of our many real estate companies, or stay at one of the island hotels listed below. Plus more ideas online on our where to stay page. Hob Knob Inn - this luxury New England boutique inn not only offers a great location to spend the night, but it also provides a delicious farm to table, chef created breakfast in the morning that will start your 2019 off just right! Charlotte Inn - discover the old-world ambiance of The Charlotte Inn, where tranquility and gracious hospitality meet Edwardian elegance on the island of Martha’s Vineyard. Right in the heart of town, the Charlotte Inn also is home to the Terrace Restaurant restaurant where we truly recommend making reservations at for dinner! Kelley House - situated just steps from the waterfront and offering a wide range of resort activities and convenient access to the best things to do on Martha's Vineyard, Kelley House provides the opportunity to "live the location" and enjoy the casually elegant seaside lifestyle of Martha's Vineyard. Mansion House - located in the port town of Vineyard Haven, the Mansion House is a great option as it’s a quick stroll from the VH ferry. Guests enjoy free, complete use of their health club complete with over 20 classes including yoga & Pilates, pool & spa. After a class, relax on the harbor viewing cupola while watching sailboats and ferries.If you’re looking to relax even more, book a spa session at their Day Spa to welcome the new year in the best of spirits! Isabelle’s Beach House - situated in Oak Bluffs, with views of the ocean, Isabelle’s Beach House is a great spot to stay if you’re planning on partying into the new year on Circuit Avenue! Alchemy - a classic tradition in Edgartown to dine and party at Alchemy on Main Street! With their delicious cocktails this season, we are sure it’ll be a fun time! Rockfish - with a special NYE dining menu, this restaurant in Edgartown will make for a fun time that night! Barn, Bowl, & Bistro - a festive dining menu will have you ringing in the New Year in delicious style! The Wharf Pub - DJ AP starts at 10pm so make sure to get there to enjoy the beats and tunes until midnight, when the new year rings in! The Cardboard Box - they will be throwing a speakeasy-themed NYE party and this is their final night of the season, so we are sure it’ll be a blast! The Terrace at the Charlotte Inn - will be open for dinner from 5:30pm to 8pm serving a $99 prix fixe menu. MV Chowder Company - have dinner at Chowder Company and then head upstairs to the Loft for the party. Chowder Company will be open for dinner this night, reservations recommended. Copper Wok - top off the year with an Asian fusion feast! Copper Wok will be open for dinner this night, reservations recommended. Whatever you decide to do to welcome 2019, we are excited to have you celebrating on island! Make sure to tag your photos on social media with #marthasvineyard and #VisitMV so we can share your celebrations! About: Woods Hole is a quaint fishing village located in Falmouth, Massachusetts on Cape Cod, and it’s home to the year round Steamship Authority ferry. Most visitors travel through Woods Hole to get to Martha’s Vineyard but Woods Hole is a destination in itself and often overlooked by those travelling to Martha’s Vineyard. Things to do: In addition to great shopping and delectable dining (the pop overs at Pie in the Sky and the fried chicken at Water Street Kitchen are a must) Woods Hole is home to the Woods Hole Oceanographic Institution (WHOI), a global leader in ocean science and exploration. The WHOI operates a small, public science aquarium (admission is free, but donations are gladly accepted) that displays approximately 140 species of marine animals found in Northeast and Middle Atlantic waters. Nerby, the Woods Hole Historical Museum is a lively but small museum with changing exhibits and diverse programs. You can’t miss the Nobska Point Lighthouse, which you’ll see from the ferry as you’re approaching Woods Hole. This stately 40-foot tower was built in 1876 and recently began offering seasonal tours. For the cycling enthusiasts you’ll want to bring a bike on board the ferry (an additional $4 fee) and explore the Shining Seas Bikeway (SSB), a paved 10.7 mile bikepath that begins in Woods Hole and continues 10.7 miles north along the west coast of Falmouth. The Shining Sea Bikeway (SSB) was named for a line in the song America The Beautiful, written by Falmouth native Katharine Lee Bates. It follows the original route of the New York, New Haven and Hartford Railroad that used to run from Buzzards Bay, through North and West Falmouth, around Woods Hole and into Falmouth Station. Getting there: Via the Steamship Authority ferry, year round, 45 mins travel time, $8.50 for a passenger ferry ticket each way. Take the complimentary shuttle to the Palmer lot and walk to Main Street Falmouth. You can also take the Patriot Party Boat year round ($12 each way), or the Island Queen ferry in the summer months ($14 one way, $22 round trip), which both depart from Oak Bluffs harbor and arrive into Falmouth harbor. It’s a short walk to Main Street from there. About: Falmouth Village offers shopping, dining, and playing all within steps of Falmouth’s beautiful beaches. Stroll Falmouth Village’s tree-lined Main Street and you’ll find locally-owned shops filled with unique gifts, apparel, artworks, books and more. From day spas to night life there’s more than enough to explore in one day. Highfield Hall and Gardens is one of Cape Cod’s premier historic sites located in downtown Falmouth. This 19th century estate and cultural center is open to the public from April 15 – October 31 and boasts spectacular gardens, 400 acres of nature trails, fun special events and high-quality programming for all ages. Nearby is Falmouth Museums on the Gree, a two-acre campus across from the historic downtown Village Green. Admission is only $5 and visitors can enjoy tours of the 1790 Dr. Francis Wicks House, the 1730 Conant House, the Hallett Barn Visitors Center, the Cultural Center, and the colonial gardens. Historic walking tours of Falmouth also take place Tuesdays and Thursdays. Bowling and gaming enthusiasts can enjoy Ryan Family Amusements for some fun for the whole family while foodies can eat their way down Main Street and choose from a variety of fare including Italian, Mexican, Thai, Indian, Greek, New American cuisine, and of course, seafood! About: Hyannis is located in the mid-Cape area and is the closest thing you’ll find to a city on Cape Cod. It is the commercial and transportation hub of Cape Cod and was designated an urban area in 1990. Islanders flock to Hyannis for its shopping which includes the Cape Cod Mall, Trader Joe’s Christmas Tree Shops, Cost Plus World Market, Old Navy, and more. While those destinations require a cab or car to travel to from the boat, there are several small shops, boutiques and restaurants located on Main Street, just a short walk from where the ferry arrives. Historically, Hyannis has been known for the private Kennedy Compound at nearby Hyannis Port and the family’s legacy lives on in the hearts and minds of locals. Located on the inner harbor in Hyannis, the Cape Cod Maritime Museum is a devoted to maritime culture on Cape Cod. The museum houses a rotating collection of maritime art steps from the ferry dock. The John F. Kennedy Hyannis Museum is one of the most popular attractions in downtown Hyannis, and includes a multimedia exhibit designed to open a window on the days JFK spent on Cape Cod. The Museum's exhibits features videos and photographs spanning the years from 1934 to 1963. For a true taste of Hyannis walk up and down Main Street exploring the various shops, and admiring the work of local artists and designers. About: When it comes to comparing Martha’s Vineyard to Nantucket each Island has its own distinct charm. While Martha’s Vineyard measures approximately 100 square miles, our smaller sister Island to the southeast is about half the size. Martha’s Vineyard boasts six different towns while Nantucket has one, aptly named Town. The wharves and picturesque cobblestoned streets of the Town are lined with restaurants, high-end boutiques and steepled churches, and the island’s rich whaling history is celebrated throughout. The National Park Service cites Nantucket, as being the "finest surviving architectural and environmental example of a late 18th- and early 19th-century New England seaport town." It’s old New England charm is appreciated and admired by thousands of visitors each year. Things to do: No stay in Nantucket is complete without a visit to the Nantucket Whaling Museum which showcases Nantucket’s rich history and significance in the whaling industry. One of the museum’s most impressive sites is the forty-six-foot-long sperm whale skeleton suspended from the ceiling, as well as the fresnel lens from the Sankaty Head Light that is proudly on display in the lobby. Step outside the museum and discover a plethora of shops, restaurants and galleries along the cobblestone streets. Beer lovers can hop a complimentary shuttle to Cisco Brewing Company from downtown, located about 2.5 miles inland. Explore the brewery, distillery, and winery, which offers food and live music along with sips of their house made beverages. For lighthouse aficionados the Great Point Light can’t be missed. Towering more than 60 feet, this historic lighthouse was established in 1784, destroyed in 1984 and rebuilt in 1986. Located on the Coskata Coatue Wildlife Refuge, you can get a tour of the lighthouse depending on the time of year and access to the lighthouse. For the best view of the Island make sure to climb atop the tower of the First Congregational Church and be rewarded with a panoramic look from above.